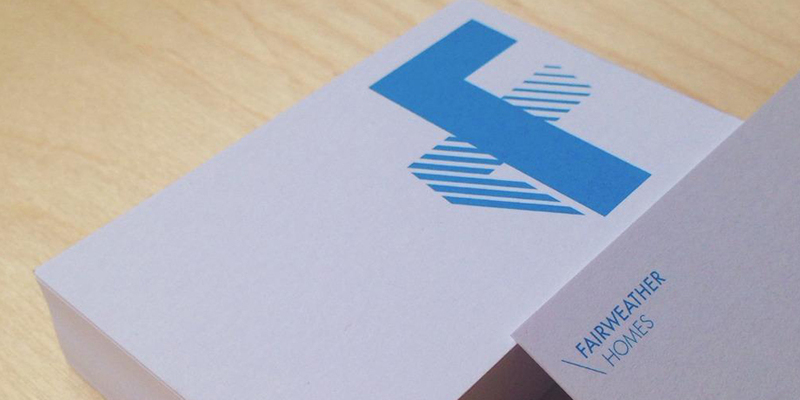 Fairweather Homes has recently embarked on a brand and logo update with Melbourne based graphic design studio Design by Bird. Director Luke Carson worked with us to develop an exciting new logo with strong references to the philosophies and principles that Fairweather Homes has held for the past 32 years. One of Fairweather Homes’ key philosophies is to create homes that respect and work with the natural forces of sunlight and shade. After a broad initial research phase, Luke’s design explorations focussed on the letter F and involved casting sunlight on objects to generate shapes and marks from the resulting shadows. The bold mark stands alone while closer analysis sees layers of meaning and interpretation. We love this concept and feel it’s a great representation of our brand which while simple on the surface relies on layers of refinement and detail for our homes to be delivered successfully. We were excited to receive our new logo that we feel is a great leap forward for the Fairweather Homes brand. Over the upcoming months we will continue to work on our branding, website and social media, so keep an eye out for our new logo. We would love it if you followed us on Facebook and Twitter and we welcome you sharing our profile amongst family, friends and colleagues.